…even though you know you should. Do you have any personal items (no, not THAT personal!) that you just can’t let go no matter how old, battered and bruised? I am as ashamed as I am proud of it. 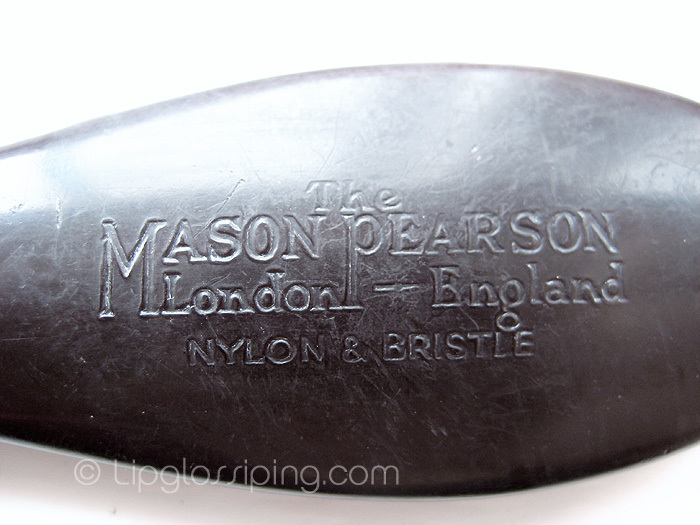 My beloved 27 year old Mason Pearson Nylon & Bristle hairbrush that my mother bought me when I was just 2 years old. I’ve dropped it hundreds upon hundreds of times over the years… it’s been submerged in water, raked through various shades of hair dye, cleaned with all kinds of horrifically damaging cleaning fluids and yet still, it soldiers on. 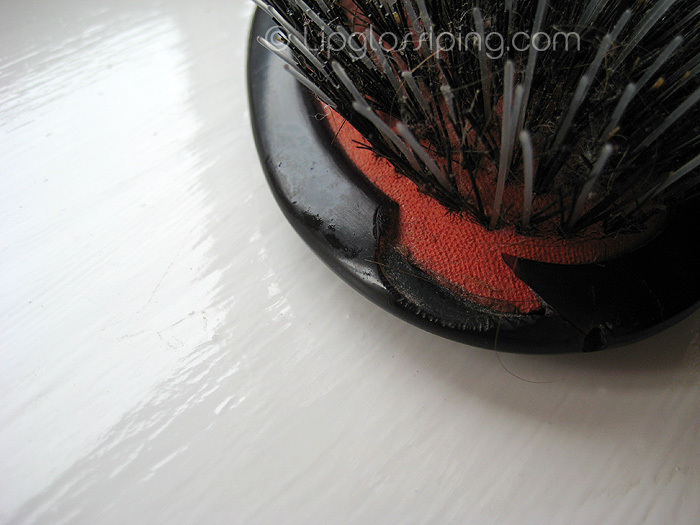 The nylon bristles have split in places and you can clearly see the marks from a temper tantrum I had around age 13 when I threw it against the wall and then sobbed my heart out when I realised I’d chipped the head. It’s been sung into, used as a back-scratcher and even circum-navigated the globe with me. Am I ready to part with it? Am I hell. This is still the brush I reach for in the mornings to weaken the tenacity of the knots that have appeared overnight before reaching for a paddle brush to finish the job. Leila has just started to use the one that I bought her in May for her 1st Birthday and already she loves it. It’s a little smaller than mine, easier for her tiny hands to grasp. She bashes herself over the head with it more than she manages to pull it through her locks but she loves to find both brushes and pair them together as in the above photo. I wonder if she’ll still be brushing her hair with it in nearly 30 years time. I hope for my sake that hers won’t show the signs of quite so many teenage tantrums though. Mason Pearson hairbrushes are available to purchase instore at Liberty or online at HQHair – price varies depending on brush size. C’mon, give up your secrets… got any beauty related treasures that you just can’t part with? I love the fact that this particular item has a story, definitely keep it. I think events from our childhood are easier to grasp when we have something to remember them with (even the temper tantrums!). I have a much less useful item, a big stuffed bird my grandmother got me when we were shopping at the supermarket (I was horribly spoiled by her) and then a more useful item, the afghan she crocheted for me as a graduation present from high school. These items remind me of her and the fun times we had since she’s passed away and I cherish them all the more. I love my Mason Pearson brushes (Junior and a child’s one for my handbag) and I intend to make them last as long as this…I am proud!! I’ve never really invested in my brushes, I tend to stick to paddle brushes, never more than a tenner. 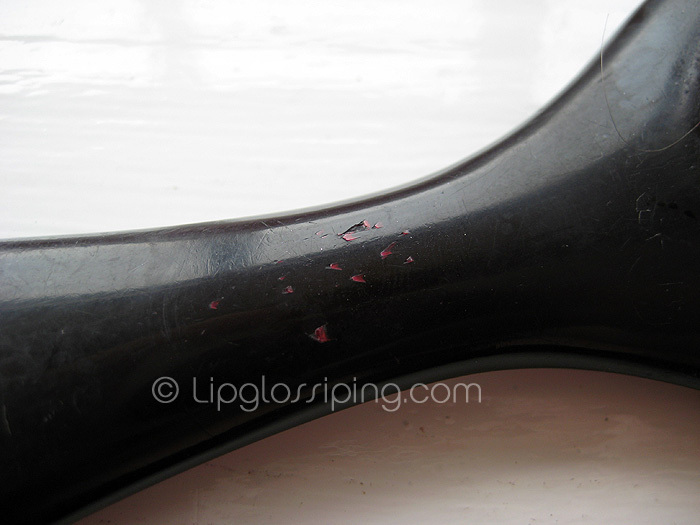 I doubt any sprogs I have will be brushing their manes with my Body Shop brush! I have a bear that is older than me, I think it was already 10 years old when it was passed over to me as a baby. His name is Bertram (Bertram Bear if you please) and he’s tatty and a little threadbare but he’s all mine! I have an old glitter roll-on tube from Bath and Body Works ancient Art Stuff Club line of kids’ products. I keep it for the blueberry smell — overpowering, cloying, artificial, and DIVINE!!! I have a lip balm with tiny bit left that I’m keeping for the smell too. Reminds me of my teenage years. I had a pot of glittery body lotion from BABW that I would love to replace but I don’t think they make it any more. WOW, we’re like twins … because the thing I’d also choose is my also about-27-year-old Mason Pearson, except I think the one I have is the one your daughter has, LOL! My dad got me mine when I was a baby (still a bit too young to use it) because he has one, and it’s the only thing he’s ever used, and it doesn’t hurt like other hairbrushes. Nowadays I have other brushes but I keep and do still use my Mason Pearson. Mine isn’t cracked or anything, and the lettering is less faded, but on the other hand, the handle of mine is pretty messed up from when our old family dog got hold of it and chewed on it! 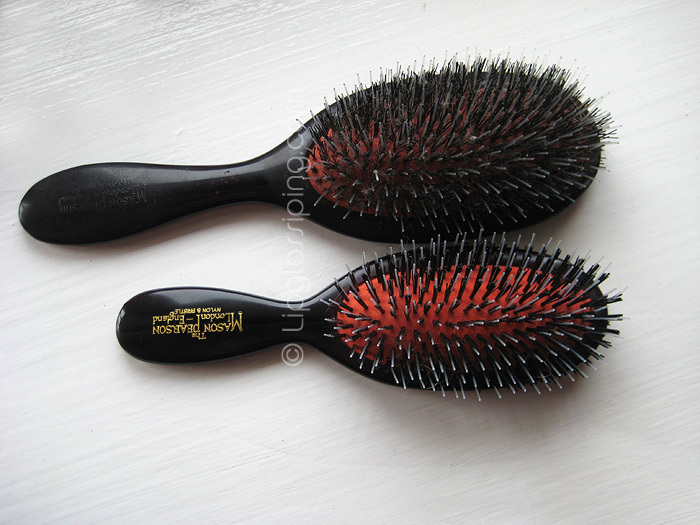 They’re great brushes … I want a new one, but I’ll never part with my old one, I’ve had it and treasured it for too long! This is a really lovely story. n_n Yes, I hope she keeps hers for years, too! Paul Mitchell celebrates 30 years! It's beginning to smell a lot like Christmas! The Limited Edition Vaseline Lip Therapy Tin returns to Selfridges! Make yourself beautiful from the inside out!